Hair loss is a typical sign of aging, but both men and women may experience losing hair regardless of age due to physiological and environmental factors. Science says it is normal to shed a few hairs, though some people suffer from telogen effluvium after pregnancy or a major operation, or even as a result of certain medications. Cancer patients undergoing chemotherapy will most likely experience severe hair loss due to radiation and intake of steroids and other strong medicines. Previous studies indicated that increased testosterone levels are attributed to balding and premature hair graying. This can happen after pregnancy, during menopausal period, or as an aftermath of serious illnesses. Losing hair can affect confidence and self-esteem, but it should not be a lifetime condition with home remedies for hair loss. Massaging the scalp not only eases tension brought by stress, it also relaxes the muscle and strengthens hair from roots to tips. Coconut or almond oil, castor oil, and amla oil has special ingredients that facilitates growth of hair. You can also have fragrances like lavender or rosemary to add to the healing effect. Indian gooseberry, more popularly known as amla oil, is rich in Vitamin C. Vitamic C deficiency often leads to hair loss due to the absence of antioxidant and exfoliating properties, which helps protect the scalp and promote hair growth. Fresh coconut milk is a potent treatment for hair loss and gray hair. It is rich in vitamins C, E, B1, B3, B5, and B6 as well as selenium, sodium, calcium, magnesium, and phosphorous. Not only does it nourish the hair, it is also healthy for the skin and bones. To massage your scalp with fresh coconut milk, let it cool down for a bit. When the temperature is right, massage it gently on your scalp for three to five minutes, allowing the milk to penetrate the skin. For balding people, add two parts of yogurt for every part of coconut milk. Use the mixture at least three times a week until desired results are achieved. Aloe vera contains alkaline that helps normalize the PH level in the scalp. Too much acidity on the scalp causes hair loss and breakage. It also prevents itching, redness, and inflammation caused by dandruff. To use aloe vera, simply apply a concentrated gel directly on the scalp. Leave it on for a couple of hours, and then rinse your hair with lukewarm water. Continue this regimen for at least three to four weeks for best results. Onion juice is known to treat cough, sore throat, and hair loss. It has high sulfur enzyme that facilitates proper blood circulation in the hair follicles, thus regenerating production of new hair and reduces inflammation. To do this, extract fresh onion juice by grating it. Apply the juice directly on the scalp or on the area where balding occurs. If you have scalp wounds, wait until it dries up to avoid infection. Leave the juice for 30 minutes before rinsing it off. For more potent results, you can also add two tablespoons of aloe vera gel and a tablespoon of olive oil. Mince a few cloves of garlic, and add coconut oil before bringing to a boil. Once the juice has cooled down, massage it gently onto the scalp. Leave it for 30 minutes and rinse with lukewarm water. Repeat twice a week. Egg is rich in protein, iron, sulfur, iodine, phosphorous, and zinc. Egg yolks combined with honey is a potent cleansing regimen, and it is also an effective solution to hair loss. Separate the white from the egg yolk, and add a teaspoon of olive oil. Beat the mixture to a paste-like consistency before applying to the hair and scalp. Allow it to rest for 15 to 20 minutes. Finally, rinse it with cool water and a mild shampoo. Licorice root is an herbal known for its soothing properties. It gets rid of clogged pores and removes irritation from dried flakes. Mix one tablespoon of ground dried licorice root to a cup of milk and a quarter teaspoon of saffron. Apply the paste directly on the scalp and leave it overnight. Rinse your hair in the morning. Repeat the remedy at least twice a week. The Chinese hibiscus flower contains properties that promote hair growth. It also cures dandruff, dried scalp, split ends, and premature graying of hair. In two cups of coconut oil, add 10 Chinese hibiscus flowers. Heat the mixture until the flowers are charred. Separate the oil by straining it. Apply the oil directly on the scalp and hair in the evening and leave it overnight. Rinse it in the morning. Flaxseeds are rich in Omega-3 fatty acids that are essential to hair growth. Add one tablespoon of freshly ground flaxseeds into a glass of water for daily consumption. Flaxseeds can be added to salads, smoothies, and soups among others. Beetroot juice is rich in protein, potassium, carbohydrates, calcium, and vitamins B and C. For best results, include beetroot to your daily diet. Blend beetroot as a cleansing juice. Alternately, grind beetroot leaves mixed with henna into boiling water. Apply the paste to your scalp and leave it on for 20 minutes. Repeat this regimen several times a week. Henna is an ingredient of hair color and conditioner. The use of henna alone strengthens the hair from the root; thus preventing hair fall. It also prevents dry scalp and buildup of dandruff. While there are plenty of organic indigenous ingredients to facilitate hair growth, it is best to avoid activities and food that expedite the process of hair loss. Eat a balanced diet. Consume foods rich in vitamins A, B, C, E, iron, and protein. Flaxseed, fish rich in omega-3 and walnuts are rich in fatty acids that keep the scalp healthy. During regular bath, do not use warm or hot water in rinsing your hair because it decreases hair strength. Gently massage your scalp using your fingertips to improve blood circulation. Do not blow dry on a daily basis. It makes the hair dry and brittle. Regular hair trimming prevents hair loss. Do not sleep while your hair is wet. It blocks proper circulation of the air. 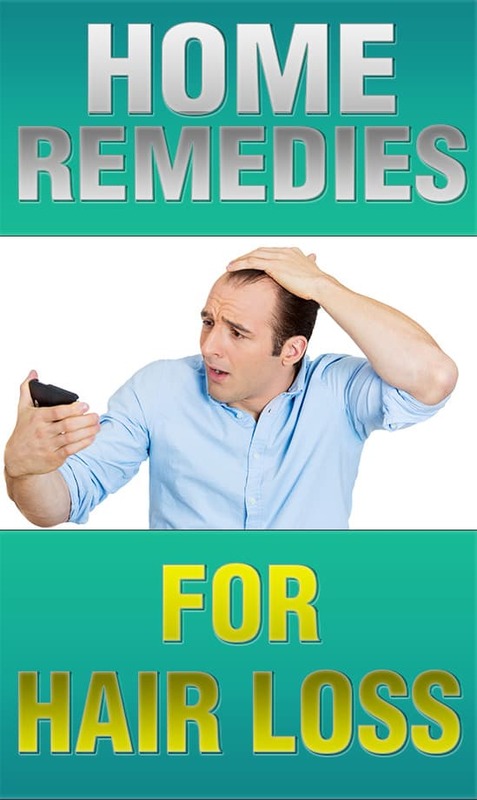 The above home remedies are proven effective to counter hair loss. But in the event that nothing has worked, it is best to consult a dermatologist. Severe hair loss may be due to alopecia areata – a condition that attacks the immune system and in effect, prevents natural hair growth. Those who have alopecia areata in the family are likely to acquire the same condition. They are also prone to allergy, and may have abnormal color of fingernails or toenails. About 10 percent of people with alopecia areata may never experience hair regrowth. Check your nutrition. Most cases of severe hair loss are due to lack of essential nutrients such as phosphorous, iron, calcium, and protein. If you experience frequent hair loss, it is advised to include six to 10 servings of the aforementioned ingredients to your diet. More than vanity, hair reflects your health status. If you like to read more lifestyle hacks, head to our Lifestyle section.